Mexico has more Spanish speakers than any country in the world, and Mexican Spanish is by far the most important form of Spanish spoken today in the United States. At last, you now have the opportunity to learn to speak and understand real Mexican Spanish quickly and easily, and in your spare time. 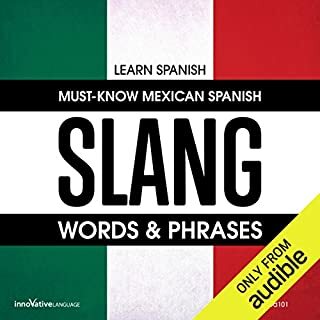 Language Audiobook's Mexican Spanish Accelerated features an expert English speaking language instructor who is assisted by educated native male and female Mexican speakers who quickly teach you their language the way it is really spoken. Immediately use English to speak Mexican Spanish without guessing at meanings. Learn from an expert American Instructor with real Mexican Spanish speaking assistants. Learn high frequency words and phrases that are the most common and easy to use. Use your otherwise wasted down time to learn to speak real Spanish in just ten minutes a day. Create your own original sentences in Mexican Spanish in the first ten minutes of instruction! 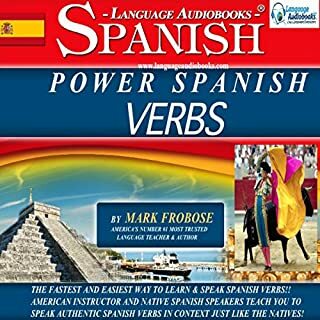 No grammar - Learn Spanish naturally like you learned English as a child! According to my wife's family, I'm now speaking like a real Mexican thanks to Mexican Spanish Accelerated. I had to get all of that high school Castilian garbage out of my mind and concentrate on the Mexican dialect. Wife is Mexican and has a huge family. They love me more now that I speak their language. Ha. From the get-go this program really taught me the difference between standard Spanish and Mexican Spanish. The detail and attention that the creators of the program put into explaining and demonstrating accents within Mexico and then comparing them to other Spanish speaking countries is one-of-a-kind. That alone makes this program worth the money. But then you have the Mexican words, the detailed explanation that "tomato" and "chocolate" are Aztec Indian words. This is not a common run of the mill Spanish program. 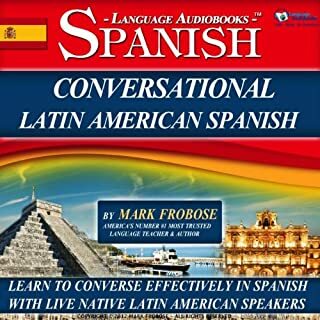 This is an exceptionally high quality Mexican Spanish program that has really increased my understanding and ability to communicate with Mexican Spanish speakers. This Is Real Mexican Spanish! I really like this course. Easy to use and my wife's family (all native Mexican) tells me I sound like them now. Andale. I love to watch Mexican soap operas and my friends and I LOVE Mexican food and we even take a trip down to the Riviera Maya once a year. 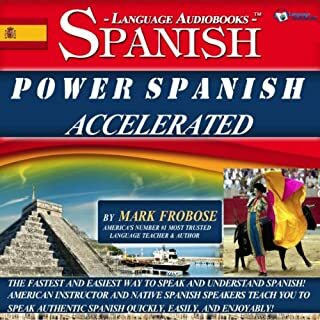 In short, I have been needing to learn REAL Mexican Spanish for some time, but I never found a program that featured real Mexican speakers and a nice, informative gringo instructor like Mark Frobose to explain the “Mexican Spanish System” so clearly. I have learned to speak and understand so much Mexican Spanish from Mexican Spanish Accelerated that I can’t believe it. Mexican people really love you when you actually “speak their language”. 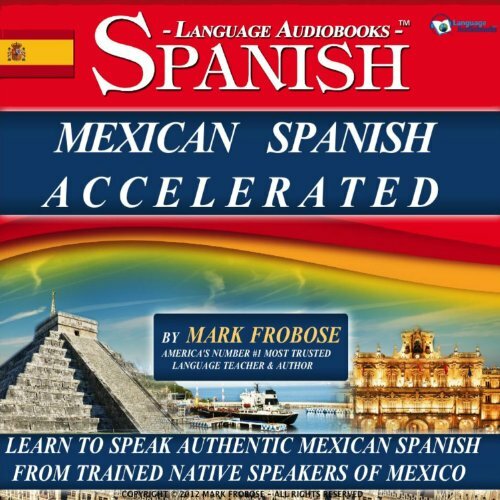 Mexican Spanish is different from other forms of Spanish, and this is sort of a “fast track” course to learning how to speak like a native Mexican would. This is a really useful program if you know anyone who’s Mexican and want to talk to them in THEIR language, if you’re married to someone or dating someone from Mexico, if you like to eat in Mexican restaurants, if you travel to Mexico on vacation or for business. WHATEVER. This is a cool course that really worked wonders for me. I really like this Mark Frobose's organized approach to language teaching. He gets his native speakers lined up and then he talks you through their Spanish in clear English so you understand. Then the native Spanish speakers chime in so you can hear and practice the real thing. I'd say it's time well spent. There are just some pitfalls to look out for. The woman in the audio uses the effeminate central mexico pronunciation of SH at words ending in R. Not always but most of the time. It's kind of confusing especially when she sometimes does it and sometimes doesn't...all with no explanation. I had to find this out by accident. A man that talks like this is going to come across as a stereo-typical gay if he goes around doing that. I could write that that is okay...but it's really not. The author of this should have mentioned this. What was most disappointing about Mark Frobose’s story? The woman using SH on words ending in R. Mark should have mentioned this up front. Who would you have cast as narrator instead of Mark Frobose? Mark does an okay job. 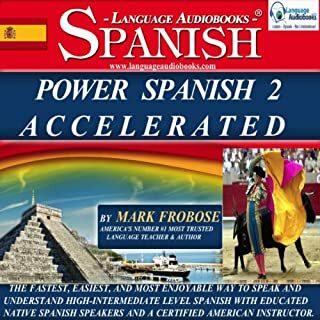 Was Mexican Spanish Accelerated - 8 One Hour Audio Lessons (English and Spanish Edition) worth the listening time? 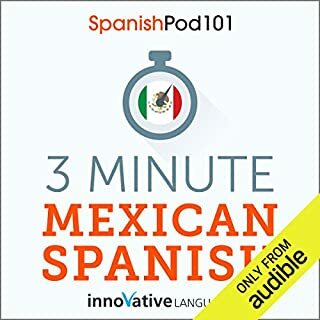 I appreciate that there is an audiobook for mexican spanish. It's time well spent; I had to learn outside the material about some mispronunciations so that was funny... I think the woman who is going all in with the effeminate pronunciations is doing the listeners a disservice by not speaking normally or at least warning the male listeners that they are going to sound like pansy's if they imitate her. Also, try not to judge this material by the first chapter of material...I almost did. It gets much better later starting in Chapter 2. Please update the audiobook to address my other comments. Thanks for releasing this. I live in San Diego and am starting to understand the mexican radio stations and people I hear around town. I'm pretty confident I'm going to get better. I felt like I was listening to this on shuffle mode. The idea is good, but it's like no one went back and looked at the flow and continuity. He'll say - "recall from memory" - some phrase they have not covered yet. In the middle of covering one things - they jump to something else.